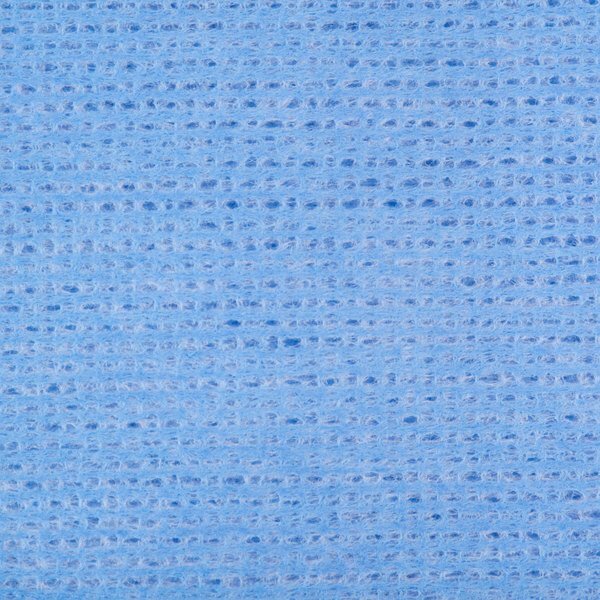 Large size measures 13 1/4" x 24"
Make cleanup a breeze with this Choice 13 1/4" x 24" blue foodservice wiper. Great for cleaning a variety of surfaces, this wiper is perfect for wiping down bars, tabletops, and equipment . Rather than purchasing different linens for all of your cleaning needs, choose this Choice wiper for a multi-purpose, easy-to-use addition to your janitorial supplies! "These are great for cleaning up at the end of a busy night! Cut down on linen costs by reusing these little towels. They are lightweight but clean up a lot!" You can wash and resuse this wiper time and time again for a cost-effective option at your establishment. Plus, its multipurpose use means you can cut down on buying different linens for even more savings! 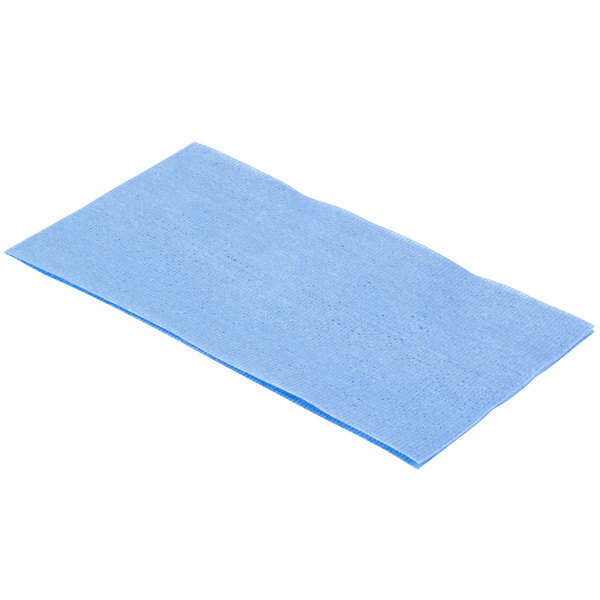 Perfect for wiping up spills, this cloth helps you work quickly and efficiently. Gentle enough to use on multiple surfaces, but tough enough to clean a variety of different spills with ease, this wiper is essential for maintaining a sanitary work environment. For best results, keep the wiper folded and wipe down surfaces using a circular motion. Thanks to its absorbent and durable qualities, this cloth can be used to clean up spills at the front of the house or used with a sanitizer to wipe down work tables and counters at the back of the house. Nice inbetween product. I like being able to either throw it away or rinse it depending on what sort of cleening I’m doing. 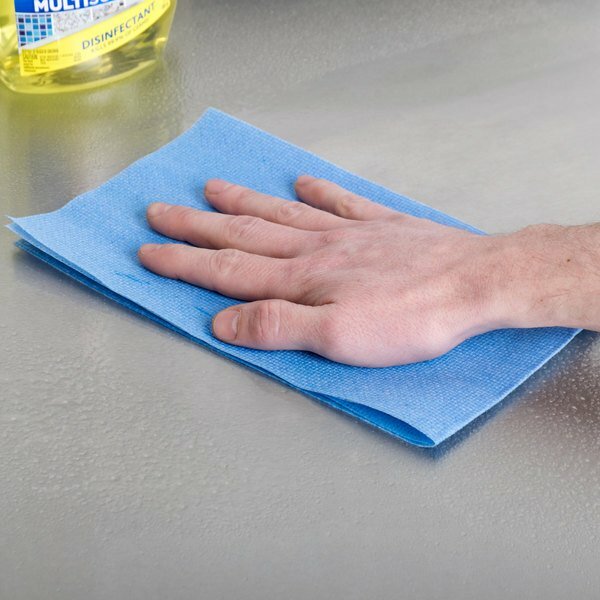 Great for wiping down counters, tables, etc. We love these! We partner them with the purell sanitizing spray to wipe down counters and food service areas. These re-usable but disposable wipes are so much easier to use and manage than taking rags home to sanitize and wash! Those things are workhorses: for example, I use several towels a day for the machine cleaning bucket but for my experiment I tested this product in extreme conditions: I used only one towel all day while maintaining it inside the sanitizer bucket, per the expectation and that wiper did not dissolve, maintained material integrity, did not thin out, .... AMAZING!!!! It gets into any nook and cranny it grabs dirt with less effort than the terry towels (even stuck on candy) . We went from the bucket with a rag, to a spray bottle and these wipes. REally love them. They hold up great for a shift and we can toss them along the way if they get to grimy. Really great item. Texture is a little rough so works great on the ranch and marinara spots! These wipes are awesome. Very thin easy to ring out and wipe stuff off. And cheap enough can throw away and get new as needed. Health inspector was happy. Very nice thick wipes. Very happy with the quality and usability so far. We will likely reorder more when this case has been used. Thanks! These wipers are pretty good. They are cheaper and same quality as the other name brand ones. They are reusable and easy to clean. I use it to clean and wipe all items in the restaurant. 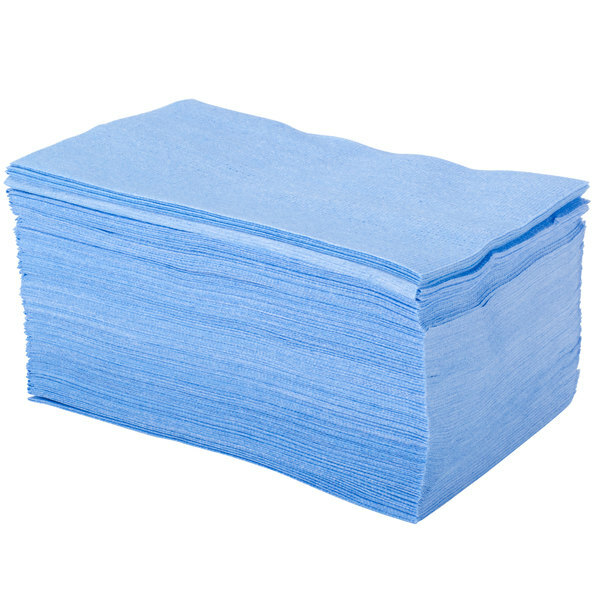 These are really nice thick, disposable towels to have around for a variety of uses. We've been mainly using them in our garage, and they're thick enough that each side can be reused a couple of times. These wipers are great. They absolutely get the job done. I love cleaning windows with these towels. It is definitely better than regular paper towels. These are great wipers and the color is better than standard white rags. They can be reused several times, then thrown out. Good value for the number of wipers included. A very durable and disposable wipe. I prefer to not need linen service at this time and am happy this wipe lasts through a entire day and then I can toss it. Who needs a linen service? A disposable wipe you can wash and reuse throughout the day. This is a great way to save some money and lose nothing in cleaning power. 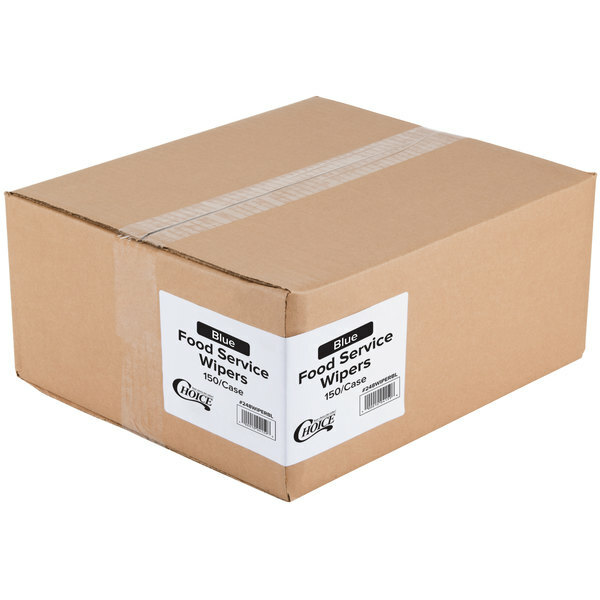 These Lavex foodservice wipers are an economical product for any bar or restaurant. These are a decent wiper for cleaning off tables or counter tops. We use this all day and toss at end of day. Used to wipe down counter top, prep tables. This wipe works well and meets our needs. 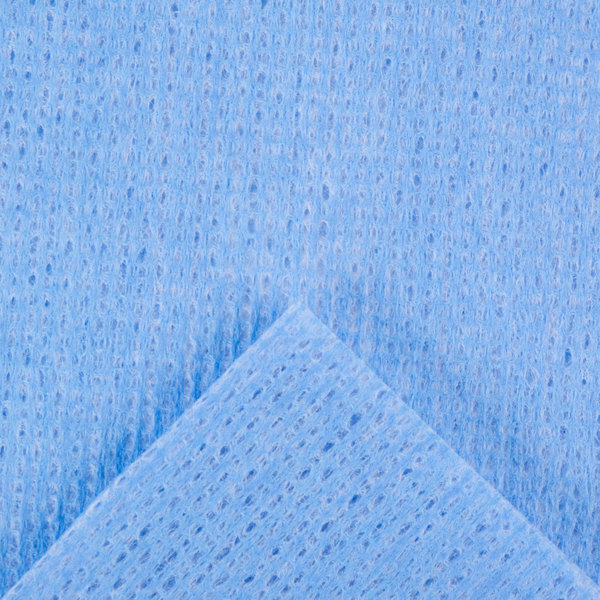 These economical blue foodservice wipers are perfect for restaurants or bars. Not quite as thick as the Chicopee brand wipers, but work great for a disposable towel. I love these! They look great and work well especially when there's a lot of grease. You can throw them in with the laundry or toss them after a few uses if they're super greasy without being too upset about the expense! These are far better than paper towels and much more economical! Love this wiper compared to the others we have tried. They wipe our slicers really well without completely ripping apart and are able to be used for longer than a 1 or 2. I was a little hesitant making the switch, but we took a chance and I am not looking back no more! surprisingly great quality at half the price. Im a forever convert now! If you are going to use these cloths just for cleaning and wiping there are great. BUT if you are going to leave them in your bleach buckets (like we do), skip this product. The wipes fall apart after 4 hours in the buckets. These were a great pirce for the quantity. The work very well, are absorbent. The towels wash and dry very well and do not seem to retain any ordors. I like to use these for front of the house clean up. Typically the servers are just wiping things down with a sanitizer bucket. These are a good way at cutting down on your linen costs. Cloths last long and wash well. The price for these compared to the Fresh Guys that we used to use is much better and they do the same job. These wipes were a bonus on my order and I'm so glad I chose them! They are lightweight and wash really well so they can be reused. We really like these wipers for cleaning tables in our restaurant's dining room. The price is attractive and they compare favorably with more expensive brands. These are great for cleaning up at the end of a busy night! Cut down on linen costs by reusing these little towels. They are lightweight but clean up a lot!